If you’ve ever been to the Santa Monica Pier, you’ve probably see this sign. 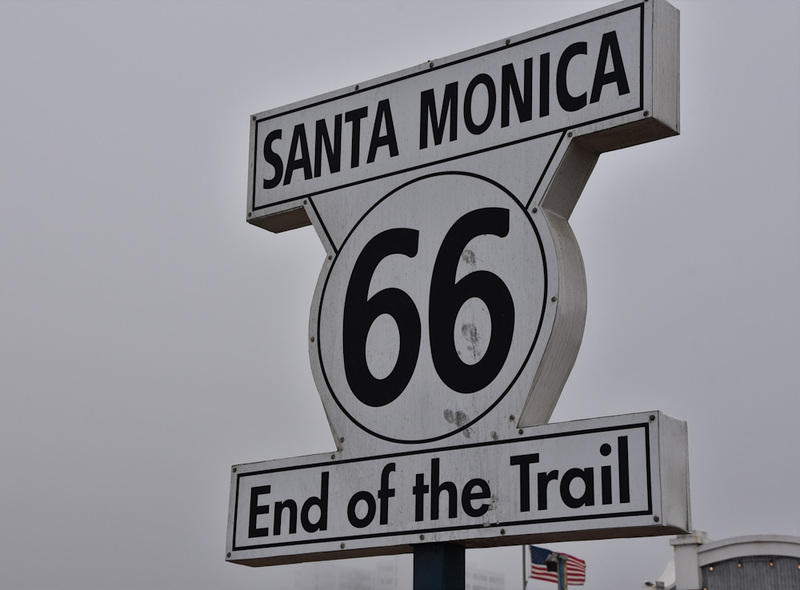 From a geographical point of view, Route 66 starts in Chicago, Illinois and ends – right here in Santa Monica, at the edge of the Pacific Ocean. Many songs have been written about it, books have mentioned it and used to be a much-traveled highway stretching nearly 2,500 miles. As the saying goes, “all good things must come to an end,” so did Route 66. In 1985, it was officially removed from the highway system and now serves more as a tourist attraction. As we are study and prepare for the end of time, on this sinful planet, we know we continue to get closer. With all the issues this world has, we can see the signs of the end. Yet, the biggest difference between the second coming of Christ and this Route 66 sign, when Christ returns it’s just the beginning for us. This isn’t the ‘end of the trail’. In fact, this is the trailhead and we are about to embark on a journey we cannot start to comprehend. A “Start of the Trail” would be a more appropriate way of looking at it. God’s second coming allows us to escape sin and sadness and instead, be with our Creator for all of eternity. Rejoice that the “trail’s end” is near and the promise of what lies ahead of us.